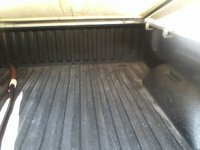 After going through its redesign in 2005 and adding trim packages in 2006, the 2007 Dodge Dakota adds some new interior fabrics and remote entry. A new two-position tailgate helps keep the contents of the bed more secure. There's little to change in this pickup that gets rated highly by both experts and owners for its great suspension, cornering, and maneuverability around city streets. 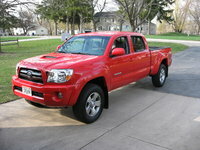 Though some drivers complain the newer models produce a rougher ride than earlier Dakotas, they love its full-size power and towing capacity (up to 7100 pounds with the V8) and the sedan-like feel of the Quad Cab interior, which seats six and has easy-to-use dashboard layout and convenient console storage for family use. With extremely roomy front seats, it works for long family road trips or in-town hauling. Just don't expect great gas mileage. At 15/20 mpg, you'll watch the gas gauge of a fully loaded and fully loaded-down Dakota sink rapidly. Whether it's a 3.7-liter, 210-hp V6 or the two 4.7-liter V8 engines (rated at 230 and 260-hp), the 2007 Dodge Dakota can haul like any full-size pickup, and it's bulky aggressive style belies the fun that accompanies it's easy-to-handle drive. 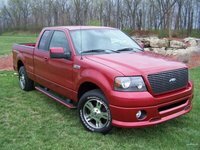 Available in 2WD and 4WD, with ABS standard in rear brakes, and coming in various off-road, performance, and street style packages, this pickup is targeted for every personality. 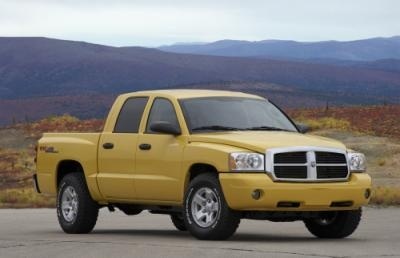 What's your take on the 2007 Dodge Dakota? 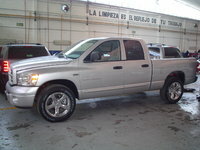 Have you driven a 2007 Dodge Dakota? truck will run good all day start everytime and after 4th stop/start maybe 5th or 6th it wont start. let is sit for 30mins it may start it may need a jump.